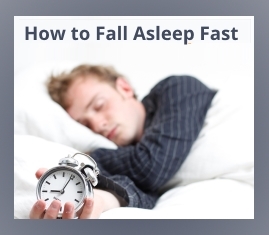 How to Fall Asleep Fast - Practical Tips that Work! If you suffer from sleepless nights, you know how frustrating it feels to be tired and want to snooze, yet not be able to do so. You are not alone. This sleep problem is experienced by a significant percentage of the population globally. Sleep is vital to well-being so don't treat the issue as minor if your sleeplessness occurs on a regular basis. Begin by talking with your healthcare provider to rule out the possibility of a sleep disorder. If there is no medical basis for your issue, heed the following advice on how to fall asleep fast provided by Chris Young, founder of GetBestMattress.com. These tips can make a positive difference in your ability to achieve rest. Keep a consistent sleep schedule. Establish a regular bedtime routine and stick to it. Go to sleep at the same time each night and awaken at the same time in the morning. Before bedtime engage in calming activities to help you relax. Adhering to a consistent sleep schedule will signal to your body that it is time to slow down and make falling asleep easier. Have a supportive mattress. Most mattresses last eight to 10 years. If your mattress is old, lumpy, concave or lacks support, it is time to invest in a replacement. Your back, hips, shoulders and ability to sleep with all benefit. Change your pillow. The comfort and size of your pillow may play a role in your ability to fall asleep more easily. Your pillow needs to remain cool throughout the night and provide good head and neck support. When laying on your pillow, your neck needs to maintain proper alignment with your back. To learn more about bed pillow selection, click here: best bed pillows. Pay attention to your bedding. Make sure your sheets, blankets and pillow cases are always clean, smooth and comfortable. Some individuals prefer high thread-count sheets because they are softer. In the end, what feels good to you will make the difference in your ability to relax and fall asleep. Try sleeping on your side. Research indicates that the best resting position to promote sleep is on your side. Side sleeping helps keep airways open for improved breathing and relaxation. Dress comfortably for sleep. What you sleep in should be loose, light, and soft. Bedtime clothing should be appropriate for the season and help keep you warm or cool depending on the weather. Avoid fabrics and trim that are rough to the touch or irritate your skin. Also consider wearing socks if you feel cold at night. Turn off all electronic devices. Turn off your television, cell phone, computer, tablet, and other electronics before going to sleep. In fact, they should be shut down an hour or two before bedtime to allow your body to adjust to a bedtime schedule and prepare for sleep. Stop watching the clock. The worst thing you can do when you can’t sleep is stare at the clock. Watching the minutes or hours go by will not help. Try a warm shower or bath before bedtime. Taking a warm shower or bath before sleep and engaging in calming activities such as reading or listening to soft music, are known to facilitate sleep. Maintain a cool temperature in your bedroom. Try turning down the temperature in your bedroom before retreating to sleep. Some experts suggest setting your thermostat around 65 degrees at night. Get rid of noises, Unless you are one of those people who don’t seem to be bothered by background sounds when sleeping, eliminate noise sources in your home before going to bed. If that is not possible, consider buying a "white noise" machine that drowns out sounds. The exception is calming music prior to bedtime (see below). Listen to soft music before going to sleep. Music can do wonders to relieve stress and promote positive, relaxing thoughts to help you fall asleep faster. Try aromatherapy. 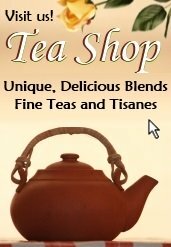 Aromatherapy has been practiced in Asian civilizations for centuries and is growing in popularity in the western world. It is a holistic approach to well-being that uses the scents of essential oils that are sometimes combined with natural herb compounds. Learn more at this link: aromatherapy for sleep. Practice relaxation techniques. When you are relaxed and comfortable, you will fall asleep easier. Consider trying relaxation techniques that calm you and help relieve sensitive joints. Click here for 10 relaxation techniques. Choose candle lighting or no lights at all. The contemporary world could benefit from some of the practices from yesteryear, like using candles for lighting before bedtime. It is scientifically found that the light source from candles is less likely to interfere with your circadian rhythms and therefore induce sleep. So, avoid using blue lights from electronics, LEDs or incandescent lighting close to the time you go to sleep. Meditation may be helpful. Daily meditation is known to enhance sleep quality, as well as provide a host of other wellness benefits. Consider meditating before bedtime every day for five to 10 minutes to see if it helps you fall asleep. If you see benefits, consider incorporating the practice in a more systematic manner throughout the day. Eat foods that promote sleep. There are certain foods that will help you fall asleep easier and other foods that are likely to cause restless nights. Learn about what foods to eat and what foods to avoid by clicking here: sleep inducing foods. It is also important not to consume large amounts of alcohol or caffeine, which will disrupt your attempt to sleep. Don’t exercise late at night. While exercising is always beneficial, if you practice it late in the evening before sleep, it may interfere with your sleep-wake cycle. Plan your exercising early in the day for better sleep and optimum benefits. Limit napping. Those naps you look forward to during the day may be disrupting your ability to sleep at night. If you must nap, limit the time to under 30 minutes per day. Avoid stress. It is empirically proven that the more stress people experience, the more likely they are to be unproductive, have mood fluctuations, and sleep poorly. Try to avoid stressful situations whenever possible. If you cannot “switch off” your brain when it is time to go to sleep, try meditation, exercise, and/or aromatherapy to ease your mind. While there is no quick fix for how to fall asleep more easily, this article represents strategies, compiled by Mr. Young, that are proposed by doctors, sleep experts and educational research on the matter. Above all, he suggests maintaining a calm and positive attitude towards your sleep issue, as anxiety will only make things worse. If one technique doesn’t work, try another one, or a combination of them until you arrive at a solution to fall asleep more quickly. Keep your healthcare provider informed of the activities you are trying to promote healthy sleep. For additional information, please see the article links below.